Benjamin Fleury-Steiner explores that explosive subject in “Disposable Heroes: The Betrayal of African American Veterans,” based on his extensive interviews over a three-year period with 30 veterans of fighting in Vietnam, Iraq and Afghanistan. An associate professor of sociology and criminology at Delaware since 2000, Fleury-Steiner is himself a Gulf War veteran – and white. Knowing the author’s military service, his professional career and his own race is necessary toward understanding the insights he brings to this subject. He writes that “the benefits of being the white son of parents of middle-class suburbs had everything to do with understanding how I was to rebound so quickly” as a 21-year-old veteran of the Persian Gulf in 1991. What a contrast to the 30 black veterans in this book, whose experiences in their pre-service years, while in the military and after discharge buttress the professor’s outrage at their treatment. We welcome the honor being paid these days to our current veterans, as opposed to the maltreatment Viet vets received. We believe military service can provide an escape from poverty and experiences to assure future employment. Those beliefs are shattered in the oral histories told in this book by the men, who mostly grew up and still live in the Wilmington area. Many of the subjects of his study live or have lived at a temporary housing shelter to which he gives the pseudonym Independence House. Those veterans pay rent if they can afford it, sometimes from their disability pay. The book is written in what the author calls a dialogic approach. His single-sentence questions are followed by paragraph-long answers about the veterans’ experiences. The technique is disconcerting at times because it’s obvious their many sentences have been combined into a single paragraph in language without a single expletive.Why were these men so willing to talk to a white professor? Fleury-Steiner tells me that for some it was therapeutic to vent their problems, although he often found it difficult to find willing subjects for what is an academic sociological study. The results, though, are powerful as veteran after veteran talks about broken childhoods in an urban setting, racist treatment by white officers in the military, inability to find helpful services or infrastructure on the return home, encounters with drugs and the law. While there are some sharp differences in the way the African-American men in this book have dealt with their problems in society and the military, the conclusion Fleury-Steiner finds is that to be black is to be disadvantaged from the start. The common denominator is a troubled childhood and young manhood, enlisting in what is now called AVF (All Volunteer Force) to look for some stability, an inability to find work or decent housing after discharge, health problems beyond PTSD, a lack of follow-up by the Veterans Administration and no community outreach to assist them. Fleury-Steiner’s wide-ranging criticisms are bound to rankle many who read this book, and maybe that’s what he intended. Listen to this, for instance: “America’s protracted emphasis on war has enabled white political and military elites to disengage with any real meaningful dialogue about the ongoing war at home and the countless human rights atrocities of racial and ethnic minorities slaughtered abroad.” A debate on that contention is needed. A helpful postscript to this book is a listing of veterans’ organizations that offer a variety of help, although he points out that no chapter of NABVETS, which serves black veterans, exists in Delaware. Rowman & Littlefield published this $36 book. 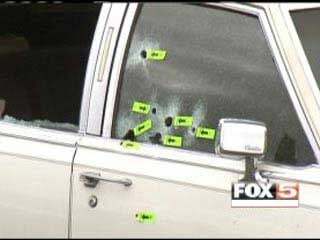 Bullet holes were left in Stanley Gibson's car following his death. The shooting death of a disabled Gulf War veteran by Las Vegas Metro police will be the first case under review Thursday at the inaugural meeting of Clark County's Police Fatality Fact-Finding Review panel. Clark County plans to air Thursday's 9 a.m. hearing on its television channel and stream the event on its website. The review panel was formed in January as a replacement for the controversial Coroner's Inquest process, which determined whether an officer's actions were justified in civilian deaths. Former judge and Clark County District Attorney Stew Bell will preside over the panel, with attorney Tony Sgro acting as ombudsman for the family of Stanley Gibson. Gibson, 43, was shot and killed during a standoff with police in December 2011. Authorities said Gibson refused to leave his car after he was pulled over by Metro police officers. He was shot by Officer Jesus Arevalo while sitting in the vehicle. Florida Veterans for Common Sense will appear appear to discuss a variety of veterans' issues on WSLR 96.5 LPFM, Sarasota on The Truly Sustainable Sarasota Local Talk Show tomorrow morning, 9:00-10:00 AM, Thursday, February 28, 2013 with host, John Lambie. Gene Jones, Kevin Connelly and Anthony Hardie will represent FLVCS. Please tune and participate. The coverage area for WSLR is limited to Sarasota, but that is no excuse not to tune in. You can listen over the internet. Go to http://wslr.org/ and click the "Listen Now" icon. If you're seeing this after the time the show airs, check the archived programs listing. AUSTIN, TEXAS -- As budget negotiations continue in Washington, AARP today released an analysis showing the negative impact one proposal – the “chained CPI” -- would have on Texas’ veterans’ compensation and pensions. The chained CPI would change the way the cost-of-living adjustment is calculated for veterans’ compensation and Social Security, reducing the amounts veterans receive every year, and over time cutting benefits the most for the oldest veterans, including those with severe disabilities. AARP joins more than a dozen veterans’ groups in opposing adoption of the chained CPI, including the Veterans of Foreign Wars, American Legion, Vietnam Veterans of America and Disabled American Veterans. According to the Department of Veterans Affairs, Texas was home to over 1.6 million veterans in 2011. Using data from the Departments of Veterans Affairs and Defense, AARP calculates that adoption of the chained CPI would result in Texas’ veterans losing nearly $1.4 billion over a 10-year period. Over that same period, 23 million disabled veterans and military retirees nationwide would see their compensation and benefits cut by $17 billion. The chained CPI proposal would lower the yearly cost-of-living adjustment for veterans’ benefits, leaving veterans struggling to keep up with the rising cost of utilities, health care, and prescriptions – things that are hard to substitute for. Under this proposal, benefits for retired and disabled veterans would shrink by larger amounts every year, hurting those who served our nation more and more as they age and their retirement savings start to run out. And our nation’s youngest veterans – especially those who were wounded in Iraq and Afghanistan – would face harmful cuts, according to the Congressional Budget Office. Replacing the current COLA formula with the chained CPI would cause a 30-year-old veteran with severe disabilities to see his or her veterans’ benefits reduced annually by $1,425 at age 45, $2,341 at 55 and $3,231 at 65. AARP is a nonprofit, nonpartisan organization, with a membership of more than 37 million, that helps people 50+ have independence, choice and control in ways that are beneficial to them and society as a whole. AARP does not endorse candidates for public office or make contributions to either political campaigns or candidates. We produce AARP The Magazine, the definitive voice for Americans 50+ and the world's largest-circulation magazine; AARP Bulletin, the go-to news source for the 50+ audience; www.aarp.org; AARP VIVA, a bilingual lifestyle multimedia platform addressing the interests and needs of Hispanic Americans; and national television and radio programming including My Generation and Inside E Street. The AARP Foundation is an affiliated charity that provides security, protection, and empowerment to older persons in need with support from thousands of volunteers, donors, and sponsors. AARP has staffed offices in all 50 states, the District of Columbia, Puerto Rico, and the U.S. Virgin Islands. Learn more at www.aarp.org. It is a medical mystery that has confounded doctors and patients alike for more than two decades: why tens of thousands of veterans of the first Gulf War continue to be dogged by a complex and debilitating web of symptoms 22 years after they were exposed to potential toxins, such as pesticides and sarin gas. Now, researchers from a consortium of institutions headed by the School of Public Health are launching a massive four-year, $5 million study to test the theory that a chronic inflammation in the brain is activating brain and immune pathways to cause ailments such as joint and muscle pain, memory problems, fatigue, headaches, and gastrointestinal distress. Funded by the Department of Defense, the study will bring together neuropsychologists, neuroscientists, immunologists, geneticists, and others from nine institutions to try to pinpoint a physical cause for symptoms—affecting an estimated 175,000 to 250,000 veterans of the 1991 Gulf War—that have so far defied explanation. The study will probe whether exposure to chemicals may have kicked off a process in which damaged neurons are continually activating the immune cells in the brain, called microglia, which can cause inflammation, muscle pain, headaches, and concentration problems, among others. Past studies, including several by Roberta White, SPH associate dean for research and a professor and chair of environmental health and a School of Medicine professor of neurology, found that the brains of veterans exposed to toxic chemicals had lower volumes of white matter, a component of the brain that helps nerve cells communicate, a deterioration that could be activating the microglia. “There’s been a convergence of studies showing an impact on the brain and immune system,” says Sullivan (right). “If you get caught in these chronic activation loops, one of the results is that you could suffer chronic symptoms. When in pain pathways, this could result in chronic pain; in memory pathways, it could cause cognitive problems. As many as one-third of the 700,000 U.S. military personnel who participated in the short-lived 1991 Gulf War suffer from a chronic multisymptom illness believed to have been triggered by chemical and biological agents. A congressionally mandated panel of experts that includes White and Sullivan has affirmed that the condition is linked to exposure to toxic chemicals, among them pesticides and pyridostigmine bromide (PB), a drug given to troops to protect against nerve gas. But the mechanism of the illness has remained a mystery. Just last month, theInstitute of Medicine (IOM) issued the latest in a series of studies, conducted on behalf of the Department of Veterans Affairs, which cautioned against a one-size-fits-all approach to treating Gulf War illness, recommending instead individualized treatment by teams of clinicians. For years Gulf War veterans have been frustrated with the government’s slow response to their health problems and the lack of effective treatments. Some veterans’ advocates have complained that the VA has not taken their health ailments seriously, portraying them as psychological rather than physical. The consortium’s work has taken on added importance because some of the symptoms reported by the more recent Iraq and Afghanistan veterans—including headaches, chronic pain, disrupted sleep, fatigue, and memory problems—overlap with the Gulf War veterans’ symptoms, although they may be triggered by a different mechanism. Sullivan, who is associate scientific director of the congressionally directedResearch Advisory Committee on Gulf War Veterans’ Illnesses, says the first step in determining treatments is pinpointing the cause. The consortium members, Baylor University, Miami VA Medical Center/Nova Southeastern University, Australia’s University of Adelaide, Drexel University, the University of Colorado, Temple University, the BU School of Public Health, theCenters for Disease Control and Prevention, and the National Institutes of Health, will perform studies examining markers in the blood and brain fluid, in addition to brain imaging (MRI and PET scans) and memory testing, to try to identify the source of the inflammation and biomarkers of the condition. Studies also are planned on animals, to test initial treatments. Much of the imaging work on Gulf War veterans will be conducted at the BU Medical Campus, while animal and other testing will be done at other institutions. In a separate trial, Sullivan and her colleagues are developing a possible treatment, involving intranasal insulin, to target such neuroinflammation. Researchers from the Boston VA Medical Center, the James J. Peters VA Medical Center in the Bronx, and the Icahn School of Medicine at Mount Sinai are involved in that trial, funded by a $1.7 million award from the Department of Defense. Intranasal insulin has been found to improve memory and attention, reduce neuroinflammation, and modulate cortisol levels. Sullivan, whose research grew out of work she had done with White, has been chasing the cause of Gulf War illness for almost two decades. She says it is impossible to give up the hunt when so many veterans are still suffering and leads for developing treatments are now within reach. “These vets are still having symptoms 22 years later,” Sullivan says. “It’s clear something happened to them that isn’t resolving over time. This is different than the primary kinds of trauma and blast exposures that many Iraq and Afghanistan veterans are experiencing” during a prolonged ground war. Lisa Chedekel can be reached at chedekel@bu.edu. The federal Institute of Medicine to much fanfare recently reported that “preliminary data” suggest that veterans of the wars in Afghanistan and Iraq suffer from the same disease — commonly called Gulf War Syndrome or Illness — that has plagued veterans of Desert Storm for over two decades. Meanwhile, an alarming but widely-ignored report by a federal panel of high-level scientists charged with advising the government on the disease accused the U.S. Department of Veterans Affairs of covering up the true nature and cause of a profound systemic illness that medical scientists have traced to wartime exposures — including neurotoxins, depleted uranium, and microbes, among others. The culprits, the Research Advisory Committee on Gulf War Veterans’ Illnesses claims, are bureaucrats in the Veterans’ Administration Office of Public Health, whose coordination of a robust strategic plan for Gulf War Illness (on which RAC had consulted) has “gutted” science, “focus,” “energy,” and budgetary resources (reduced from from $15 to $4.9 million for 20013). The Office has promulgated “fictions,” the RAC asserts, that are “contrary to well-established science,” resurrecting a discredited theory of the syndrome belied by decades of scientific research validated by the Institute of Medicine. That scientific research shows that Gulf War Syndrome or Illness is a real and profound multi-system illness appearing with an array of conditions. that it is unknown if the illness is physiological or psychiatric. The RAC says that these distortions “undermine” research by VA and the broader scientific community, which it calls “the entire foundation on which hopes of finding treatments are based.” RAC is careful in assigning specific blame, though: “Many VA staff clearly do not believe these fictions,” the report states. Moreover, they report, “the fictions assuredly do not represent the policy of the Secretary,” whose stated commitment to change the culture of an ossified and sometimes obfuscating agency was reflected in the initiation and development of the strategic plan. Rather, the RAC report takes aim at “a number of individuals wedded to the past, who have somehow imposed their will on the Department,” recommending that these actions be investigated and that the individuals responsible be removed from positions of authority over Gulf War research. Ten years after its 1998 establishment by Congress to advise on matters of Gulf War health research, RAC published its hard-hitting 452-page review of research, “Gulf War Illness and the Health of Gulf War Veterans.” It found that there was more than just a passing correlation between wartime exposure and widespread systemic illness among veterans. 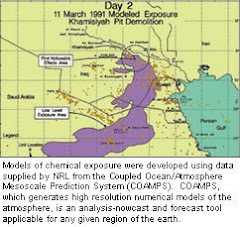 Though it did not rule out depleted uranium, particulate matter and infectious agents as contributors, it found it found most compelling the scientific evidence that the prime culprits were neurotoxins — in overused insecticides, experimental anti-nerve gas pre-treatment pills, and sarin plumes from the Air Force’s bombing of an Iraqi weapons plant. “For too long,” the Committee declared in its groundbreaking 2008 report, the “lasting health consequences of the Gulf War were denied or trivialized. Few veterans have recovered or substantially improved with time.” And itrecommended that identification of treatments be given highest priority for veterans. The situation described in the report was already becoming more urgent as more and more troops returned home from Iraq and Afghanistan reporting similar symptoms. There were 866,000 men and women who deployed in and around Iraq and Afghanistan who later became patients in the VA system, and nearly 784,000 have filed for disability compensation. Of the nearly 800,000 sick veterans of Desert Storm, few have recovered and tens of thousands have died. But once again, the VA is denying and trivializing the profound identified illness that RAC and the Institute of Medicine, in turn, verified. 91outcomes.com) - Nearly 60 of the nation's veterans service organizations joined together this week to express grave concerns about the VA's handling of Gulf War veterans research, health, and benefits in their diplomatically worded policy recommendations report, The Independent Budget for Fiscal Year 2014. The report, issued on Feb. 5, 2013, was authored by the VFW, DAV, AMVETS, Paralyzed Veterans of America, and 54 other veterans service organizations (VSO's. In it, the VSO's noted their concerns regarding VA's lack of effective treatments, lack of a clear VA strategic plan on Gulf War research, concerns regarding VA changes to a RAC-approved plan, and failure to create new presumptive conditions recommended by the Institute of Medicine in a 2010 report. "contribut[ing] to the lagging interest among researchers who would otherwise commit themselves and their careers in Gulf War illness research, further marginalizing ill Gulf War veterans." The full Persian Gulf War Veterans section of the Independent Budget in its entirety is below. *SOURCE: The Independent Budget for Fiscal Year 2014, released Feb. 5, 2013, pp. 118-122. The Department of Veterans Affairs [VA] must aggressively pursue answers to the health consequences of veterans’ Gulf War service. VA cannot reduce its commitment to Veterans Health Administration programs that address health care and research or Veterans Benefits Administration programs in order to meet other important and unique needs of Gulf War veterans. 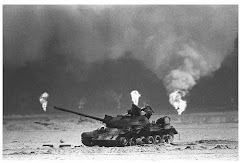 In the first days of August 1990, in response to the Iraqi invasion of Kuwait, U.S. troops were deployed to the Persian Gulf in Operations Desert Shield and Desert Storm. The air assault was initiated on January 16, 1991. On February 24, 1991, the ground assault was launched, and after 100 hours, combat operations were concluded. Approximately 697,000 U.S. military service members served in Operations Desert Shield or Desert Storm. The Gulf War was the first time since World War II in which the reserves and National Guard were activated and deployed to a combat zone. For many of the 106,000 who were mobilized to southwest Asia, this was a life-changing event. After their military service, Gulf War veterans reported a wide variety of chronic illnesses and disabilities. Many Gulf War veterans have been diagnosed with chronic symptoms, including fatigue, headaches, muscle and joint pain, skin rashes, memory loss, difficulty concentrating, sleep disturbance, and gastrointestinal problems. The multisymptom condition or constellation of symptoms has been referred to as Gulf War syndrome, Gulf War illness (GWI), or Gulf War veterans’ illnesses; however, no single, unique illness has been definitively identified to explain the complaints of all veterans who have become ill. According to the VA study Health of U.S. Veterans of 1991 Gulf War: A Follow-Up Survey in 10 Years (April 2009), 25 percent to 30 percent of Gulf War veterans suffer from chronic multisymptom illness above the rate of other veterans of the same era who were not deployed. This and five earlier studies confirm that many years after the war ended, approximately 175,000 to 200,000 veterans who served in-theater remain seriously ill. The signs and symptoms reported by ill Gulf War veterans are similar to fibromyalgia (FM) and chronic fatigue syndrome (CFS), which are ill-defined conditions such that debate remains as to what should be considered essential diagnostic criteria and whether an objective diagnosis is possible. Other ill Gulf War veterans who do not meet the diagnostic criteria for FM or CFS are consigned to the “undiagnosed illness” and “medically unexplained chronic multisymptom illnesses” category. Without a definitive cause or diagnostic criteria, no characteristic laboratory abnormalities and no test to diagnose, policies and protocols for an effective response from VA in the areas of research, benefits, and health services aimed at improving the lives of ill Gulf War veterans remain elusive. Since the Gulf War, federal agencies have sponsored numerous research projects related to GWI. Although a number of extremely important studies and research breakthroughs received funding support, overall, federal programs were not focused on addressing the Gulf War research issues of greatest importance. Testimony provided during hearings in 2009 before the House Committee on Veterans’ Affairs pointed to a number of research challenges that have impeded steady progress, including the lack of adequate documentation of exposures, differing case definitions of Gulf War illness, and the weight given to animal and human studies in evaluating research findings for the purpose of determining causation. The Independent Budget veterans service organizations (IBVSOs) are concerned that, if left unaddressed, GWI research will continue to be hampered and veterans suffering from GWI will not receive proper relief. On April 9, 2010, the Institute of Medicine (IOM) released Gulf War and Health: Health Effects of Serving in the Gulf War, Update 2009. In this report the IOM expert committee noted that virtually all the reports in the Gulf War and Health series have called for improved studies of Gulf War and other veterans. The Research Advisory Committee on Gulf War Veterans’ Illnesses (RAC-GWVI) appointed by the VA Secretary in 2002 was directed to evaluate the effectiveness of government research in addressing central questions on the nature, causes, and treatments of Gulf War-related illnesses. The RACGWVI made specific recommendations for VA’s GWI research funding.174 The IBVSOs urge VA to adopt these recommendations that will directly benefit veterans suffering from GWI by, among other things, establishing by consensus an evidence-based case definition for GWI, creating a comprehensive research plan and management structure, and answering questions most relevant to their illnesses and injuries. Heightening this concern is a critical need for a comprehensive and well-planned program to address other problems faced by disabled Gulf War veterans. In light of the continuing decline in health status, function, or quality of life of ill Gulf War veterans, the primary question for the IBVSOs is whether Gulf War veterans are receiving effective, evidence-based treatments for their health problems. Last year The Independent Budget for FY 2013 called on VA to commission the IOM to update its 2001 report, which attempted to identify effective treatments for Gulf War veterans’ health problems.175 In response, Congress passed P.L. 111-275, “Veterans’ Benefits Act of 2010,” requiring VA to contract with the IOM to conduct a comprehensive review of the treatments for chronic, multisymptom illness in Gulf War veterans and determine the best treatments. The law also requires the IOM to make recommendations on how best to disseminate information on best treatments throughout VA, additional scientific studies and research initiatives to resolve areas of continuing scientific uncertainty, and any such legislative or administrative action as the IOM deems appropriate in light of the results of its review. While we eagerly anticipate this IOM report with the hope that it will result in a comprehensive GWI research plan and well-designed health-care programs to address the needs of ill Gulf War veterans, research continues for effective treatment. For FY 2014, the IBVSOs urge Congress to provide the funding level necessary for this research program to achieve the critical objectives of improving the health and lives of Gulf War veterans. While Congress continues to generously provide much needed GWI research funding, the IBVSOs are concerned with the direction of VA research, and its implications for the research community and ill Gulf War veterans. Within the Department of Veterans Affairs, two organizations, the Office of Research and Development (ORD) and the Office of Public Health (OPH), are involved in Gulf War research, and internally coordinate and share information. In early 2011, the ORD and the OPH initiated formalized quarterly meetings of senior staff and, as appropriate, scientific program managers and VA investigators. Instances such as the RAC-GWVI comments and recommendations to suspend conducting VA’s follow-up study of a national cohort of Gulf War and Gulf War-era veterans (Gulf War Follow-Up Study) and to the changes made to the post-January 23, 2012, version of VA’s Gulf War Research Strategic Plan are cause for great concern with the direction of VA GWI research. Further, of the $15 million committed in FY 2013 for VA Gulf War research, only $4.86 million was spent. All of these factors contribute to the lagging interest among researchers who would otherwise commit themselves and their careers in Gulf War illness research, further marginalizing ill Gulf War veterans. The IBVSOs applaud VA for creating the Southwest Asia Veterans System (SWAVETS), a data system that is much more robust than the Gulf War Veterans Information System, which contained data discrepancies yielding impractical reports. The SWAVETS uses enhanced statistical linkages between VA and DOD data along well-defined subgroups of deployed and nondeployed veteran populations. We particularly appreciate the use of Veteran Benefits Administration diagnostic codes and ICD-9 diagnostic codes, providing VA health-care and benefits utilization by Gulf War veterans with greater granularity. We urge VA to continue issuing this report to the public. Moreover, established treatment regimens available through VA have been identified that alleviate Gulf War illness symptoms. Unfortunately, such treatments are insufficient to halt the decline of ill Gulf War veterans’ health or function status, or quality of life. Veterans suffering from GWI require a holistic approach to the care they receive in order to improve their health status and quality of life. VA must establish a system of post-deployment occupational health care if it is to meet its mission and deliver veteran centric care to this population. VA’s War Related Illness and Injury Study Centers (WRIISCs)—located in Washington, D.C.; East Orange, New Jersey; and Palo Alto, California— have a central and important role in VA’s health-care program for veterans with post-deployment health problems. The WRIISCs offer a national referral program and provide comprehensive multidisciplinary evaluations. They are an educational resource for VA clinicians and veterans and their families; they provide telehealth services and exposure assessment clinics; and they conduct clinical treatment trials. Despite this important role, VA has not devoted adequate attention or resources to the education of its non-WRIISC staff or outreach to veterans to make them aware of these programs. Many Gulf War veterans who are ill and their private-sector providers are generally unaware of the information, opportunity for consultation, or specialized expertise of the WRIISCs. Thus, the IBVSOs believe this national resource remains largely unrecognized and underutilized. VA should better utilize the expertise of the WRIISCs to ensure that their resources are increased to match the growing demand. Occupational health is a medical specialty devoted to improving worker health and safety through surveillance, prevention, and clinical care activities. Physicians and nurses with these skills could provide the foundation for the VHA’s post-deployment health clinics and enhanced exposure assessment programs, and improve the quality of disability evaluations for the VBA’s Compensation and Pension Service. · working collaboratively with DOD partners to reduce service-related illness and injury, develop safer practices, and improve preventive standards. One of VA’s core missions is the comprehensive prevention, diagnosis, treatment, and disability compensation services of veterans who suffer from service-related illnesses and injuries. Service-related illnesses and injuries, by definition, are military occupational conditions and exposures. Accordingly, VA should devise systems, identify expertise, and recruit and train the necessary experts to deliver these high quality occupational health and benefits services. Likewise, VA needs to improve the capability of its primary care providers to recognize and evaluate post-deployment health concerns. In approaching this task, VA and the DOD jointly developed the Post-Deployment Health Clinical Practice Guideline to assist VA and DOD primary care clinicians in evaluating and treating individuals with deployment related health concerns and conditions. This guideline uses an algorithm-based, stepped-care approach that emphasizes systematic diagnosis and evaluation, clinical risk communication, and longitudinal follow-up. RECOMMENDATION: VA should establish by consensus an evidence-based case definition for Gulf War illness (GWI) and create a comprehensive research plan, research operational plan, and management structure. RECOMMENDATION: Congress should conduct vigorous oversight on the direction of VA research and its implications with the research community and ill Gulf War veterans. RECOMMENDATION: VA and other federal agencies funding GWI research must ensure that research proposals are of high quality, based on such considerations as the quality of the design, the validity and reliability of measures, the size and diversity of subject samples, and similar considerations of internal and external validity. RECOMMENDATION: Congress should maintain its commitment to provide sufficient funding for VA’s research program to permit it to resume robust research into the health consequences of Gulf War veterans’ service and to conduct research on effective treatments for veterans suffering from Gulf War illnesses. The unique issues faced by Gulf War veterans should not be lost in the urgency to address other issues related to armed forces personnel who are currently deployed and to veterans more recently discharged. RECOMMENDATION: VA should review and revise the Veterans Health Initiative Independent Study Guide for Providers on Gulf War Health Issues and the Institute of Medicine committee reports Gulf War and Health to include the latest research findings and clinical guidelines. RECOMMENDATION: To properly assess and tailor existing VA benefits for ill Gulf War veterans, VA should gather more meaningful data that will result in an accurate database than that currently available from the Gulf War Veterans Information System. RECOMMENDATION: VA should move with all deliberate speed to include the list of those conditions in the Gulf War and Health: Health Effects of Serving in the Gulf War, Update 2009 that were found to have at least met the limited or suggestive evidence criteria as presumptive conditions. These conditions should also be listed separately and distinctly from those disabilities due to undiagnosed illnesses. RECOMMENDATION: The Veterans Health Administration should establish post-deployment health clinics, enhance exposure assessment programs, and improve the quality of disability evaluations for the VBA Compensation & Pension Service. To deliver high-quality occupational health services, VA should consider establishing at every VA medical center a holistic, multidisciplinary, post-deployment health service led by occupational health specialists.